Following the release of the incredible Samurai Predator Collectible Figure, the first ever collaboration with legendary artist Mr. Takayuki Takeya (???? 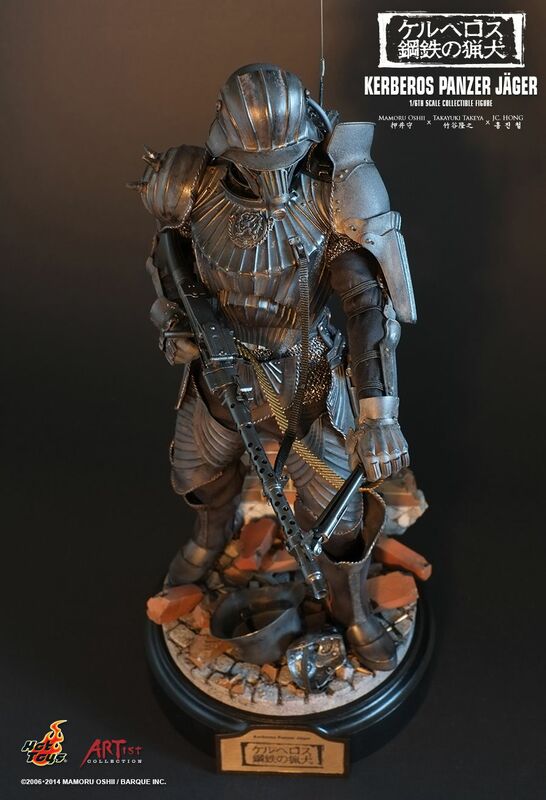 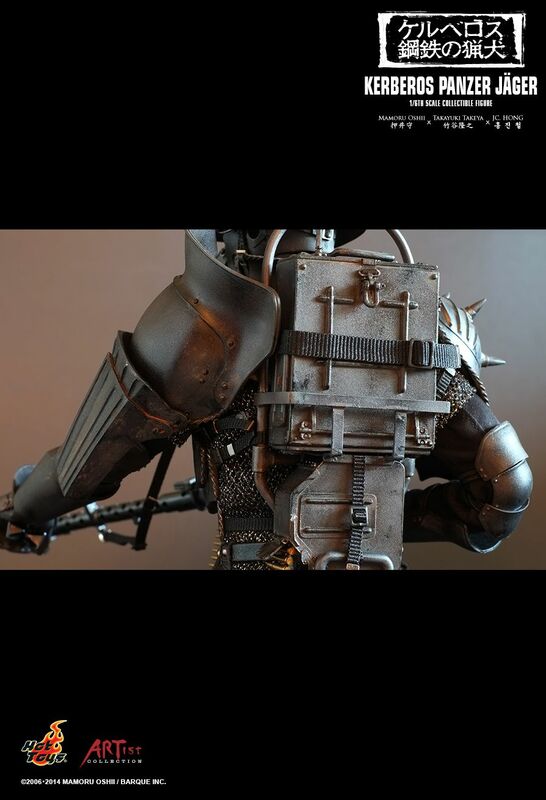 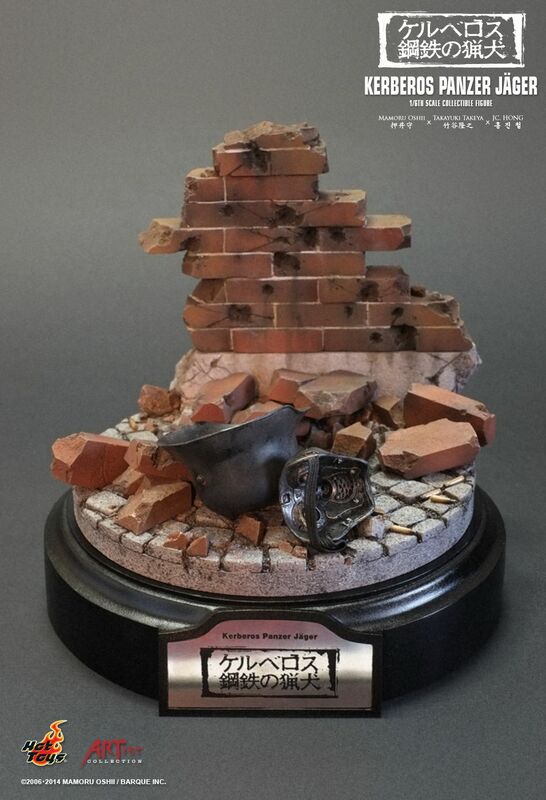 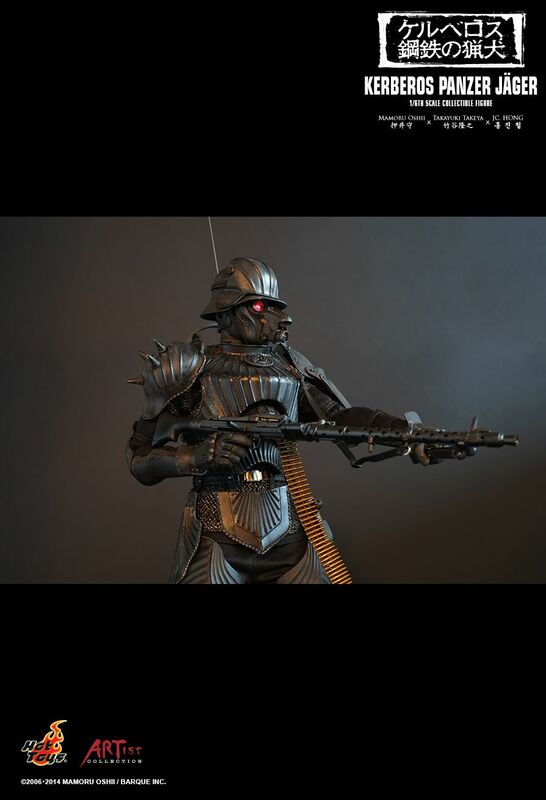 )*, Hot Toys is thrilled to join hands with Mr. Takeya again to bring you a collectible figure of the Protect Gear from Kerberos Panzer Jäger (????? 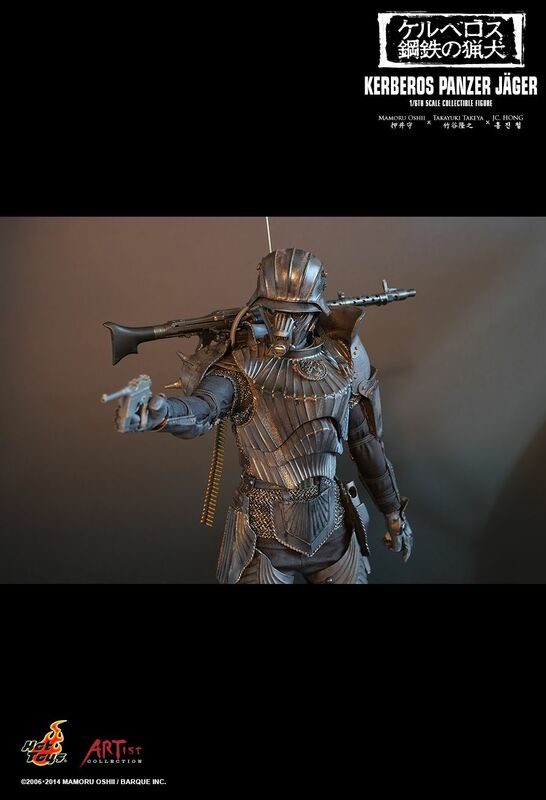 ?????) 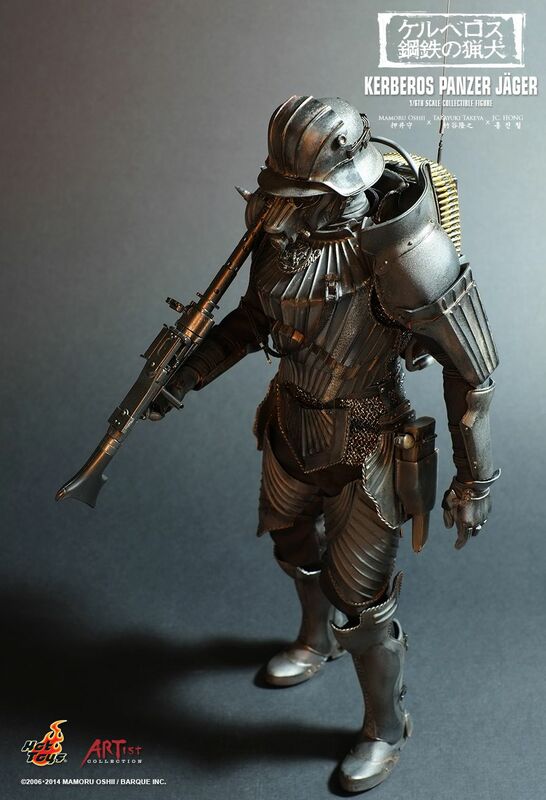 which is part of the classic Japanese franchise - Kerberos Saga**. 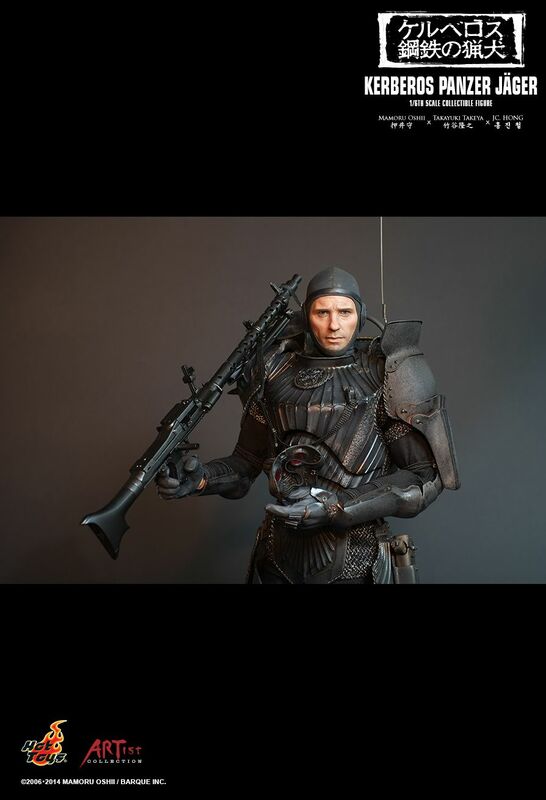 Over the past few years, Hot Toys’ Production Director and Chief Painter, Mr. JC. 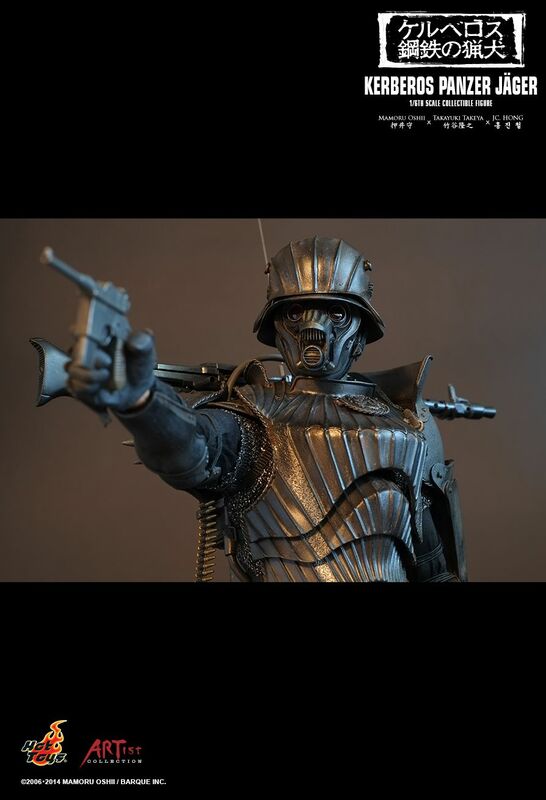 Hong (??? 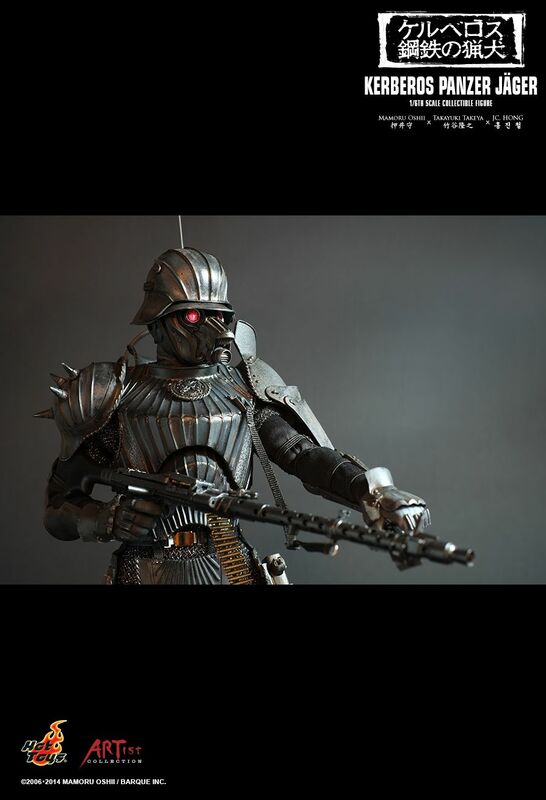 ), had been working closely with Mr. Takeya and his team to create the high quality articulated collectible figure. 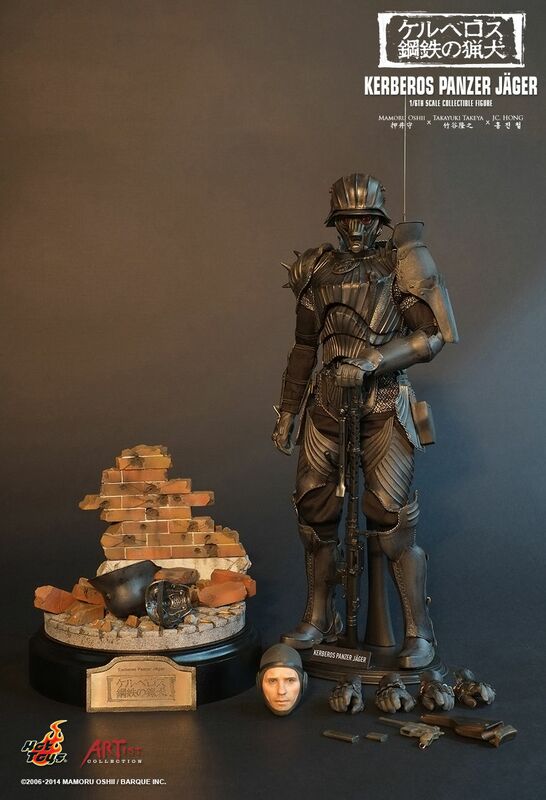 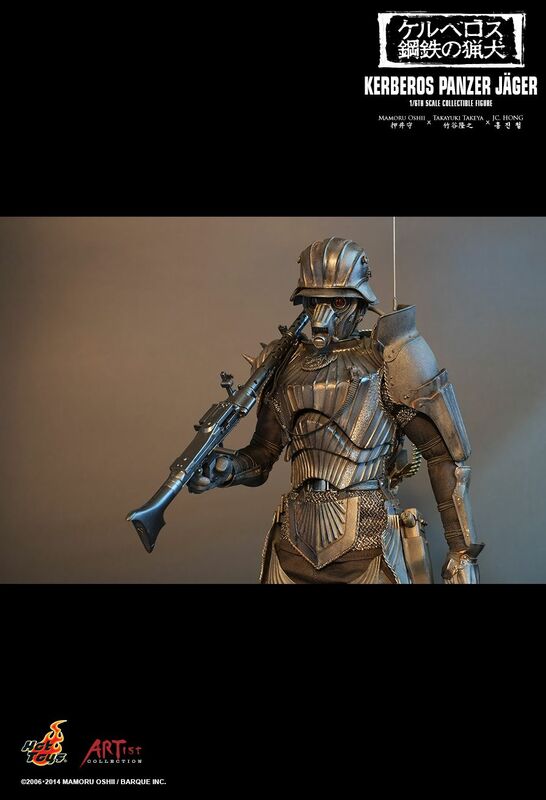 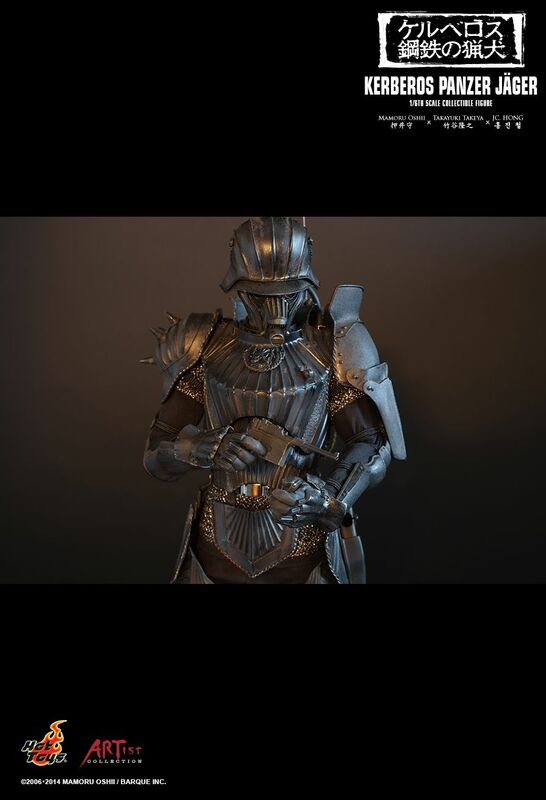 The Kerberos Panzer Jäger: 1/6th scale Protect Gear Collectible Figure is the latest addition in the Hot Toys’ Artist Collection. 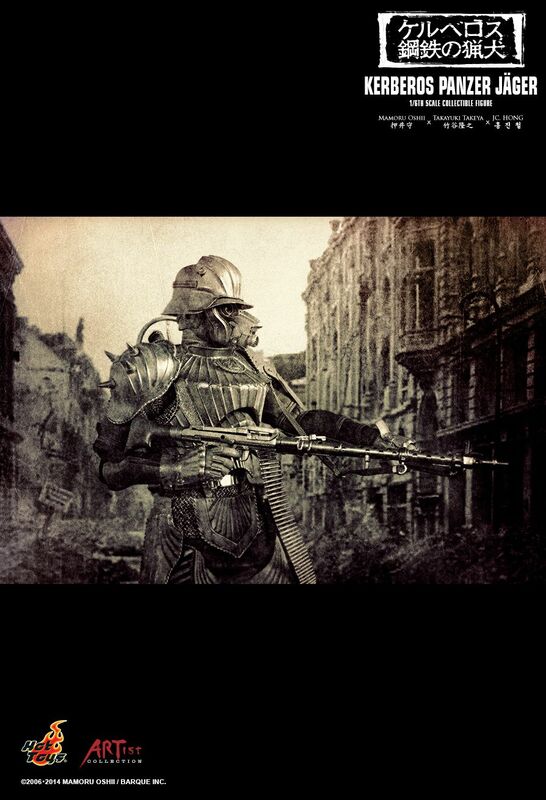 It is based on the radio drama by Mr. Mamoru Oshii (???) 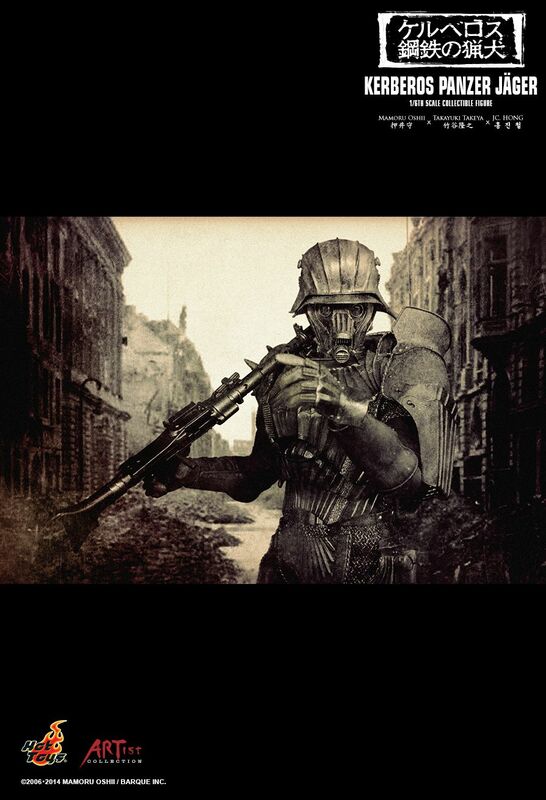 in 2006 called Kerberos Panzer Jäger and the story is set in Germany during World War II before the events of the original Kerberos timeline. 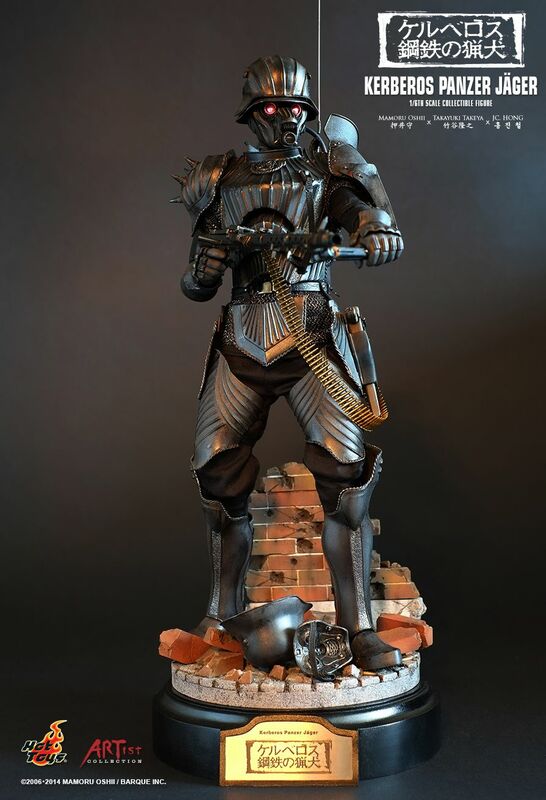 The collectible figure features newly sculpted and uniquely painted black full body armor, a head with the iconic mask and light up function, an interchangeable head sculpt with face of a Panzer Company trooper, detailed weapons and accessories, and a specially designed debris diorama base. 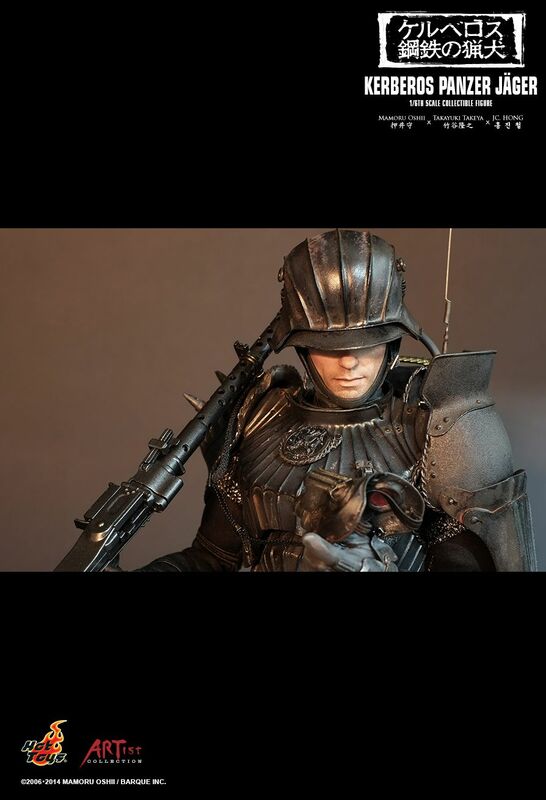 The Kerberos Saga is a military sci-fi franchise originally created in the late 80s by Japanese writer and filmmaker, Mr. Mamoru Oshii, who has also directed the popular anime sci-fi film - Ghost in the Shell. 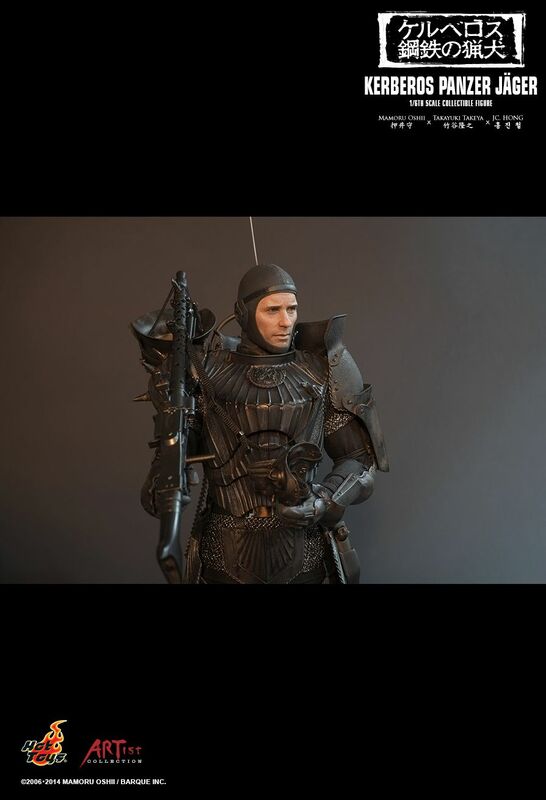 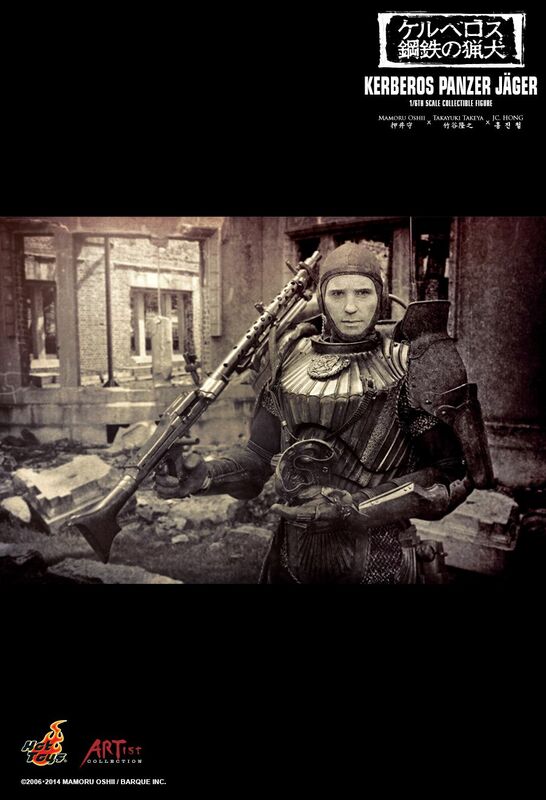 One of the most iconic elements in the Kerberos Saga is the full body armor called Protect Gear that the characters wear and its amazingly cool design has even inspired many adaptations in video games and movies.